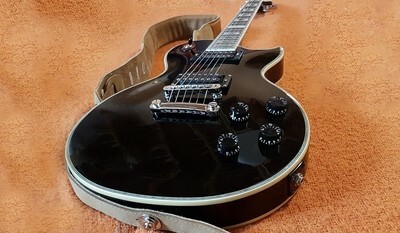 This is a Mint Condition Slightly Used Carparelli S3 Blacky. It plays and sounds amazing! This is the same guitar Mick Box of Uriah Heep has been playing now since 2008. Modern C shape ( fast ) Neck with tapered Neck joint allowing all size hands to reach the highest frets with ease.